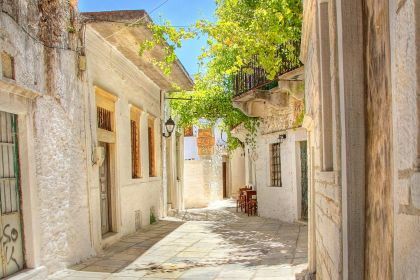 The largest of the Cyclades islands, fertile Naxos is a heady combination of ancient history, modern amenities, beautiful beaches, thriving nightlife and mountainous scenery. The main town, also called Naxos, is filled with whitewashed houses and medieval mansions, topped by an imposing 13th-century castle. 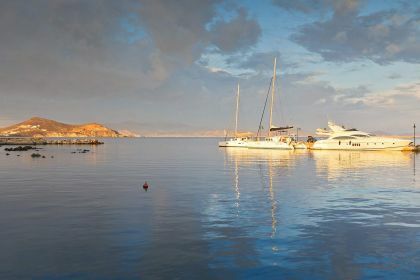 Call or contact your friendly Abberley charter broker here for assistance in planning an unforgettable yachting vacation in Naxos and the Cyclades. 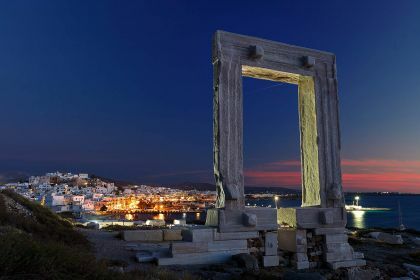 As you approach the port town of Naxos, the island immediately declares its historic importance with the enormous Portara arch, perched on a small island in the harbour. Regarded as the doorway to the ancient Temple of Apollo, built in 522BC, it acts as a gateway to the other fascinating archaeological sites found on the island. Because Naxos is relatively large, covering almost 430 kilometres, sailing around its coastline in a yacht is a convenient way to take in the sights conveniently and at your leisure. You may even find a beach or cove that will be exclusively yours for the day. It’s hard to talk about the island’s beaches when all the superlatives have already been used. 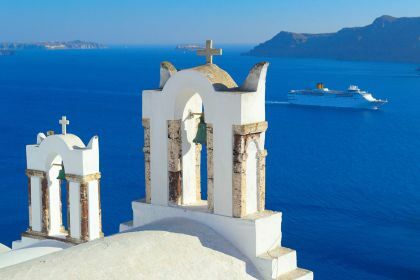 Yachting around the coast is the best way to beach-hop to some of the finest spots in the Cyclades. The beaches at Plaka and Agios Prokopios have long stretches of sand and crystal-clear turquoise water. Mikri Vigla, about 18 kilometres from the main town, has pretty rocky coves and is popular with snorkellers and windsurfers. Many of the beaches on the east coast are only accessible by 4X4 vehicles, which means you and your yacht may have the place to yourselves. Take your camera when you explore the island’s ancient ruins, such as the Portara arch in Naxos or the Sanctuary of Demeter, near the village of Ano Sagri. You’ll return home with enviable memories. 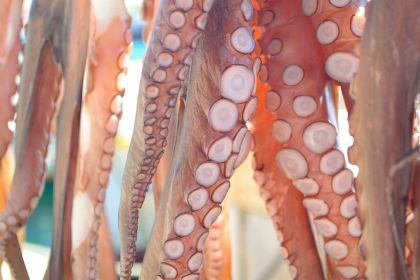 Rooster in wine, astakomarakonada (pasta with lobster), grilled octopus, squid and sepia (traditional cheese pie) – you’ll find all this and more in foodie Naxos. 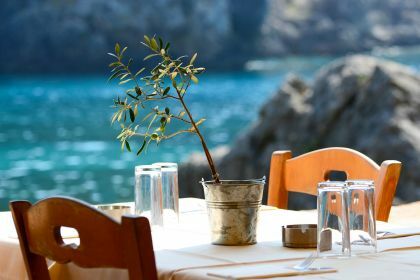 Delfinaki, overlooking beautiful Lionas Bay, is a family-run eatery serving fresh Greek cuisine. Perched on a cliff in the mountain village of Apeiranthos, Rotonda offers contemporary Mediterranean dining with a gorgeous terrace overlooking rolling hills. The family-run To Ariston in the town of Naxos is where the locals eat - and they know a thing or two about food. Most of the nightlife on the island is clustered around Naxos town, and includes a variety of bars, music clubs and beach lounges. The Ocean Club is a lively spot right on the marine and is perfect for a sundowner cocktail or, later, a twirl on the dance floor. On The Rocks is known for its huge range of cocktails, and if you’re up for some karaoke, this is the place to be. Naxos is diverse, thrilling and amazing. You don’t have to take our word for it – go check it out for yourself. Give us a call or leave a message in the form here. Insider Tip: Schedule your visit to Portara just before sunset, when the arch is set against a backdrop of pink and red hues.